This paper analyses a large content sample of Islamic State of Iraq and al-Sham (ISIS) English-language magazines. Dabiq (15 issues, 2014–2016) and Rumiyah (13 issues, 2016–2017) represent the largest cohesive text sample of ISIS propaganda targeted at English speakers. This qualitative analysis, creates a typology to explain and categorize articles within the sample. 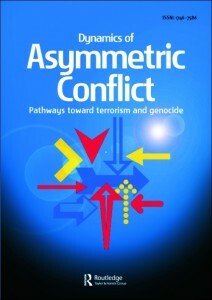 Magazine articles are divided into five categories: (1) Islamic theological justification and inspiration for violence, (2) descriptions of community, belonging, and meaning, (3) stories of progress or heroism, (4) establishment of a common enemy, i.e., the West and Muslim “apostate s,” and (5) instructional and inspirational articles empowering individual violent action. A focus on unity and community was more common in Dabiq, while instructional articles encouraging lone wolf attacks appeared more often in Rumiyah. Moreover, tales of heroism and progress are far more common in Dabiq, while Rumiyah issues focus on Islamic justification and call for loyalty and sacrifice. This follows the shift in ISIS’s operational focus from administering a physical caliphate to inspiring attacks locally and abroad. Knowing exactly what types of messages and narratives are being circulated in ISIS propaganda has important implications for understanding the psychology of terrorism, radicalization, securitization, and counterterrorism.